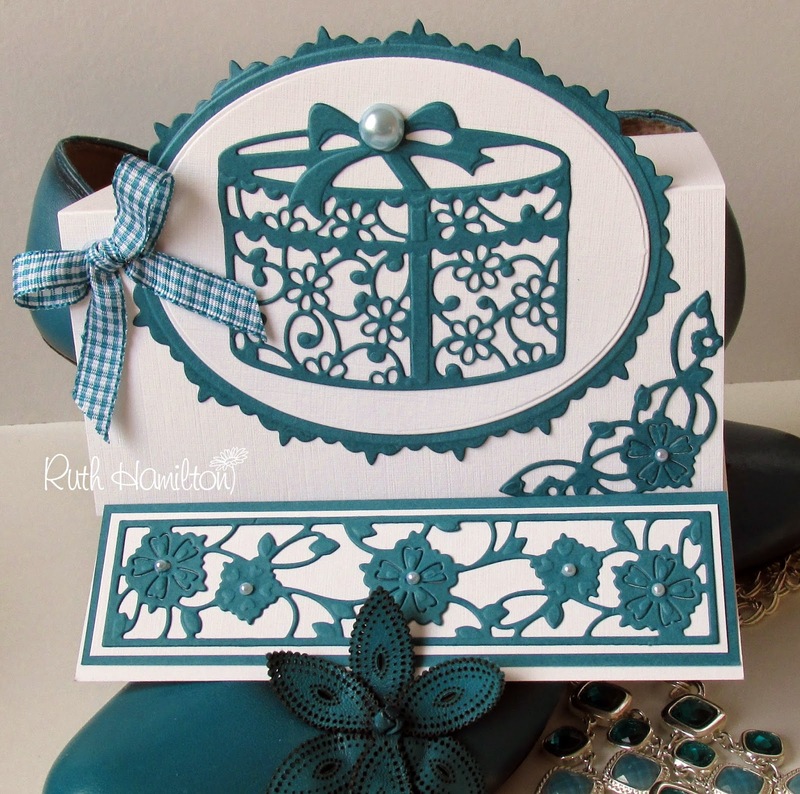 Tonic Studios﻿ will be releasing gorgeous new die sets tomorrow again.There are more Rococo dies to add to your collection along with other nesting shapes and beautiful sentiments. 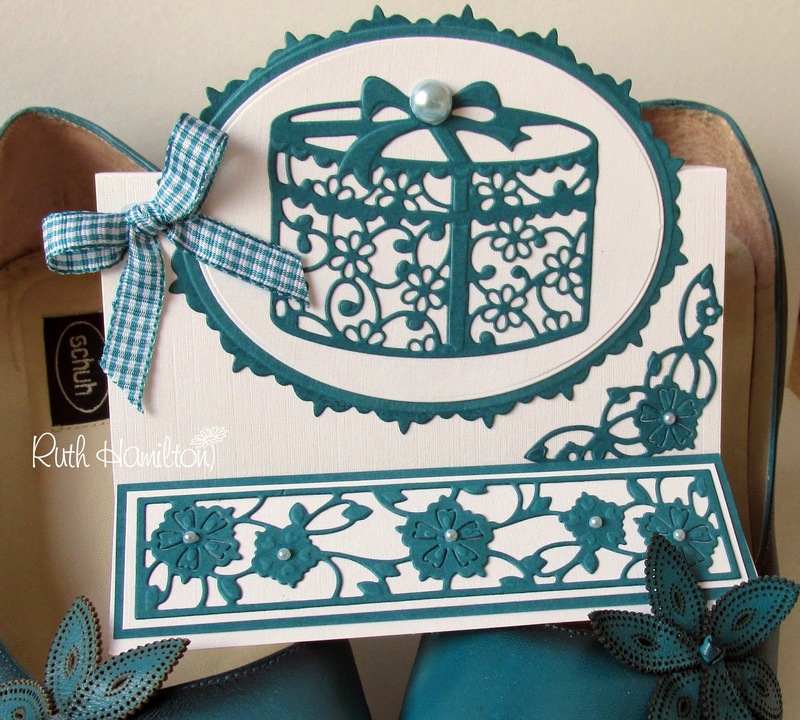 This is the Fancy Hat Box die in the centre of one of the With Love dies. The other dies I've used are also from the With Love set. 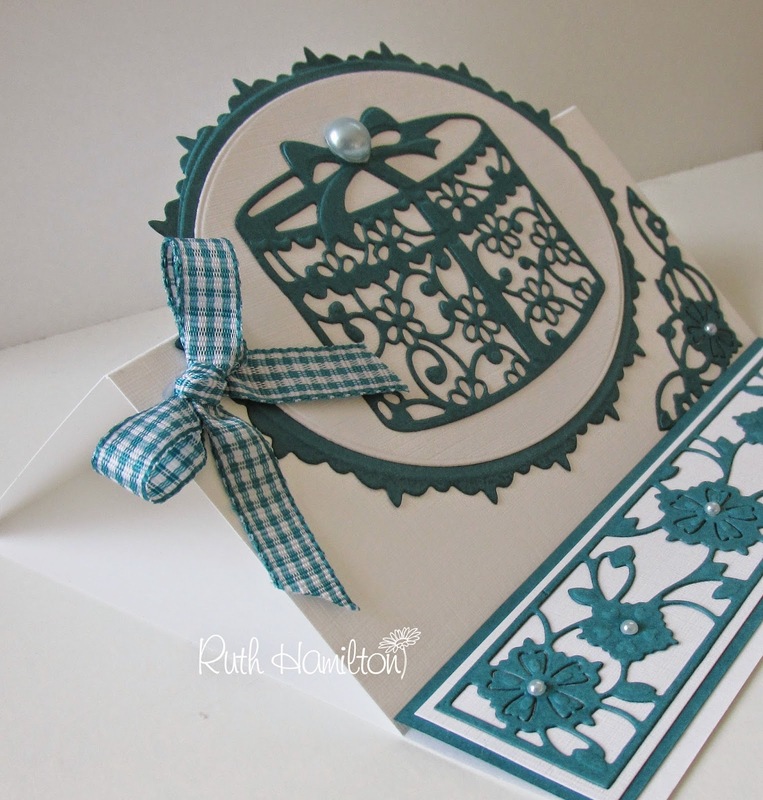 I've used my favourite Teal and white linen card combination from Papermilldirect﻿ to make the card.